The King Harbor Youth Foundation is seeking to dramatically increase our impact on the youth of the surrounding South Bay communities through extending our programs to a broader audience of local youth and improving the quality of our instruction, coaching and equipment. Your donation will ensure that KHYF can sustain all of its program over the long-haul and distribute its funds where we have the greatest need. Become a sustain member with a weekly, monthly or annual donation to ensure your donation has the greatest impact. Click here to donate by credit card. Choose a recurring donation to increase the impact of your donation! While we don't receive formal financial backing from the King Harbor Yacht Club, many of its individual members have chosen to be generous contributors. To facilitate this process, we have established a monthly billing donation through your yacht club membership dues, enabling you to make a tax-deductible contribution to the Youth Foundation each month. To participate in this program, please contact the KHYC Office Manager, Laura Price, at (310)3762459 or office@khyc.org. Many of our sponsors are interested in making a lasting impact on our programs. To this end, we have created our Boat Endowment Program, where contributions will fund the purchase of a new boat and subsequent replacements of that boat as necessary in the years ahead. The King Harbor Youth Foundation has historically relied on individual donations, program fees and fundraising events to fund its programs. To increase both the quantity of children and families we serve and the quality of experiences we offer them, we will need to expand and diversify our funding sources. To that end, we are seeking to expand our fundraising to also include private and community foundations, corporate grants, public agencies and other non-profit organizations. If you have suggestions for us or assistance to provide in any of these areas, please contact us at 424-327-7579. 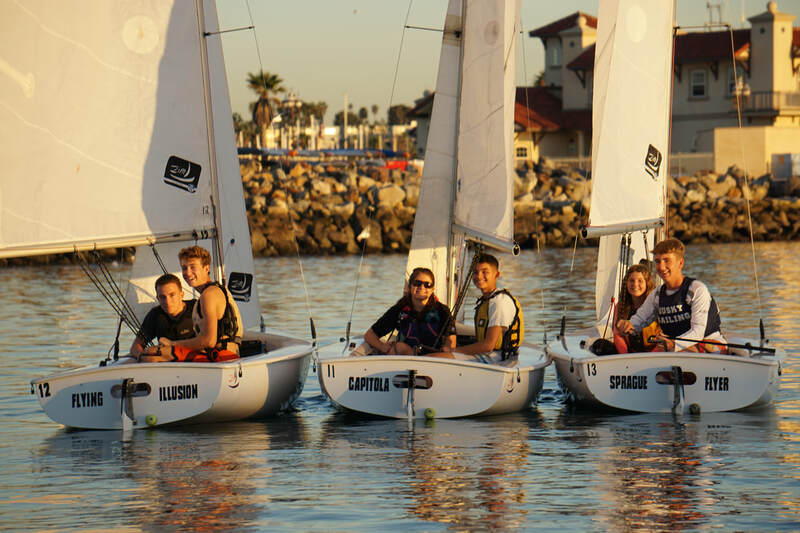 Thank you for investing in King Harbor Youth Foundation sailing program ! Your gift is a charitable contribution to King Harbor Youth Foundation, a 501(c)(3) non-profit organization.